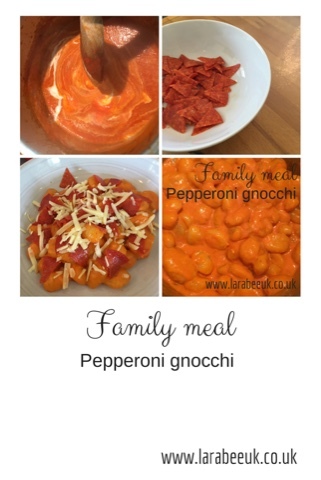 This recipe is a massive hit in our home, the boys love pepperoni and loading it with some extra peppers means that it gets a few more veggies in them! 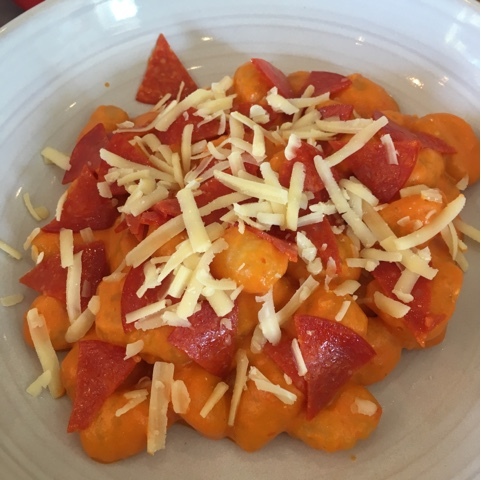 You can also serve with pasta. 1. 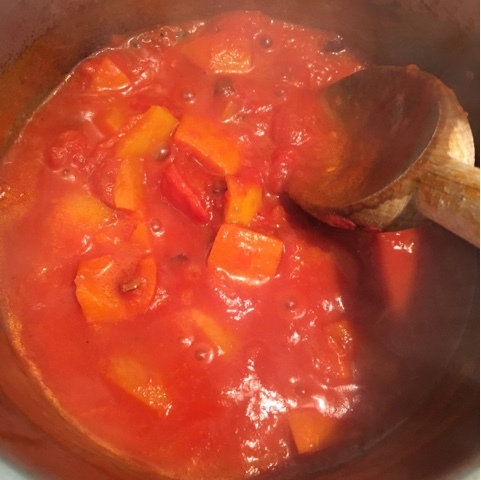 In a pan gently soften onions and peppers in a little olive oil, once starting to soften, add tomatoes, tomato purée and paprika and bring to the boil. 2. Reduce heat and simmer for 15 minutes until liquid has reduced. 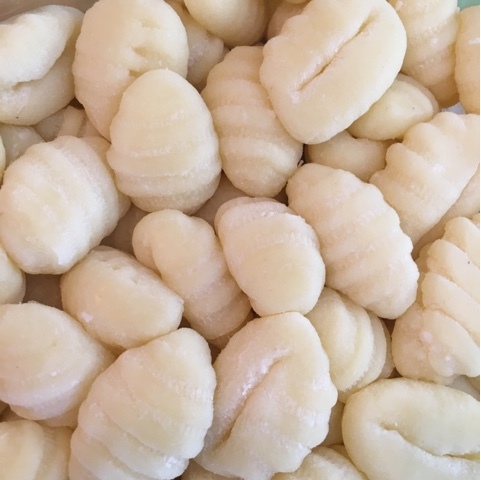 Meanwhile cook the gnocchi or pasta according to the instructions. 3. 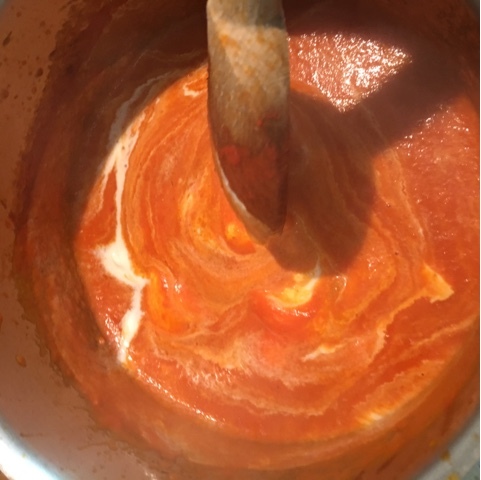 When the sauce has reduced, blend into a smooth sauce, add the cream and stir to mix well. 4. 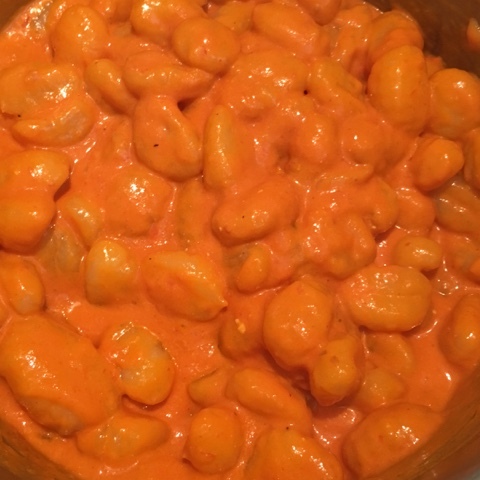 Mix in the pasta or gnocchi and serve for vegetarians at this point. 5. 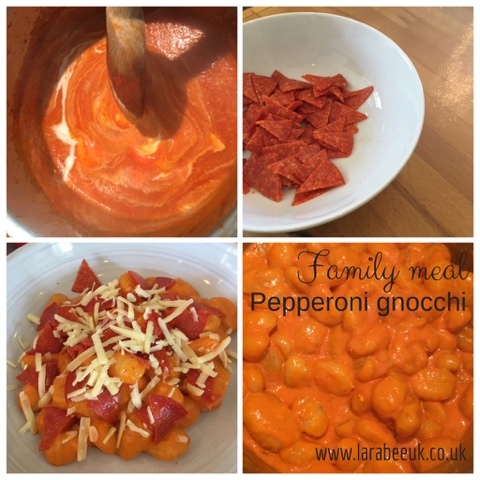 Either stir in the pepperoni or place on top and serve with a sprinkling of grated cheese.